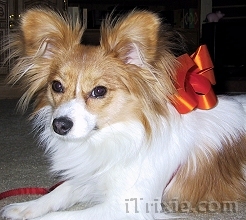 I'm a little papillon doggie and I'm 7 8 9 10 11 months one year two years old. 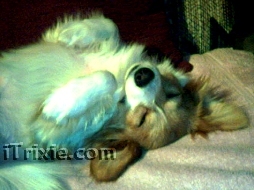 I am smart, busy, playful, cuddly, mischievous, frisky, and cute. This woofsite is just sort of a collection of things I think are interesting - I hope you do too. If you go looking at other pages here and forget where my blog is, it's got a click over on the side with all my other clicks. Be sure to leave a comment and let me know you were here! As you can see, I'm working really hard to keep up with my correspondence.